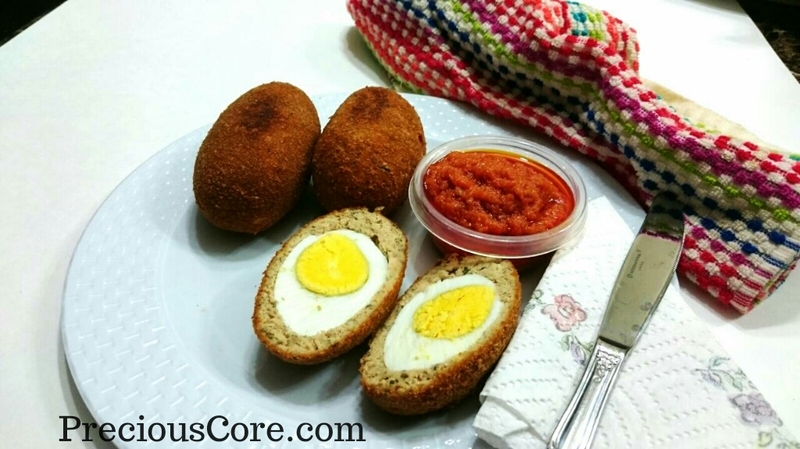 I made these Scotch Eggs in memory of my dear friend, Mbuh Patience Ndikum who recently lost her life in a motor accident. 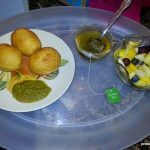 This is the last post she shared with us on our Facebook food group. 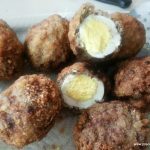 The Scotch Eggs looked so good and many people wanted the recipe so Patie was kind enough to share the recipe with us. 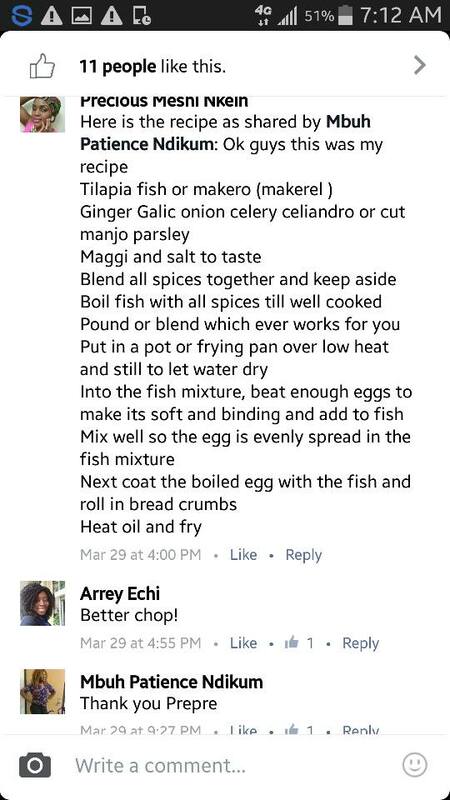 I’ve pasted the recipe here below just the way she wrote it. I havealso included the step-by-step pictures of how I made it. 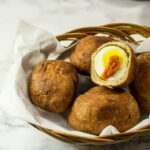 I have made Scotch Eggs with meat and Scotch Eggs with flour but this is downright the easiest, most good-looking and delicious Scotch Eggs I ever made. My friend taught us to coat it with fish. 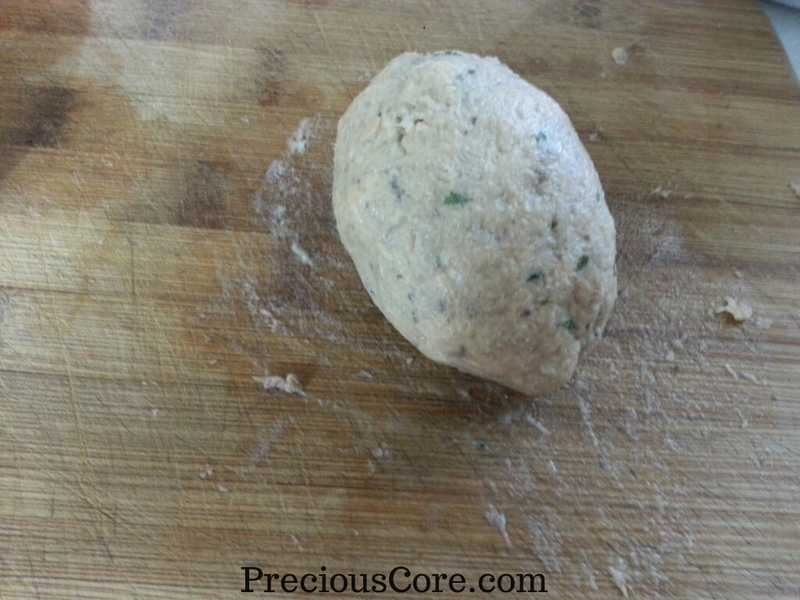 No flour is required in the recipe. Ingenious! Please make these lovely balls in memory of her. 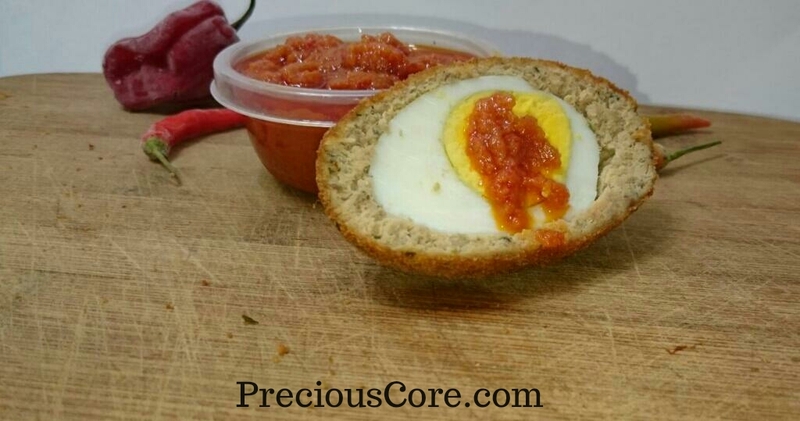 I just had to make some delicious pepper sauce to go with it (recipe for the pepper sauce coming soon). Mash some pre-cooked fish. Note that your fish should be seasoned, cooked and de-boned. 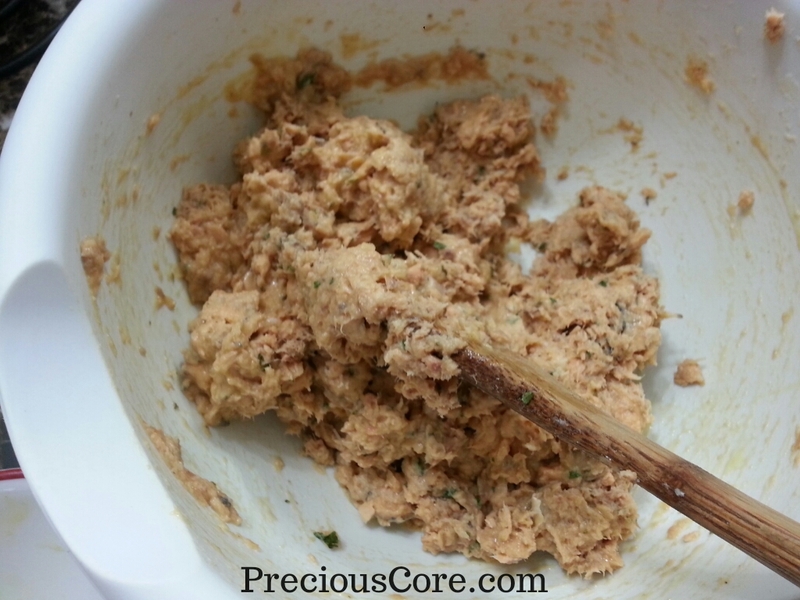 I used canned pink salmon so the bones were quite soft and brittle. 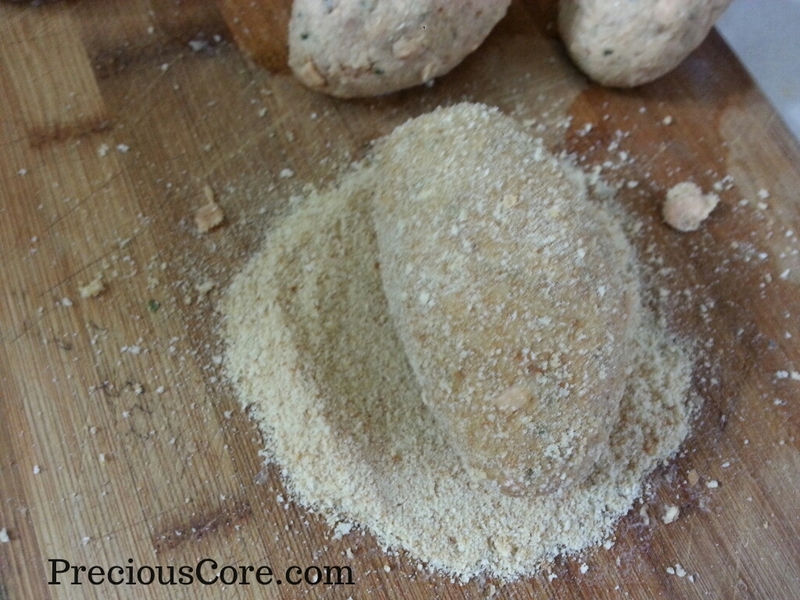 Add some freshly ground or powder garlic and ginger. 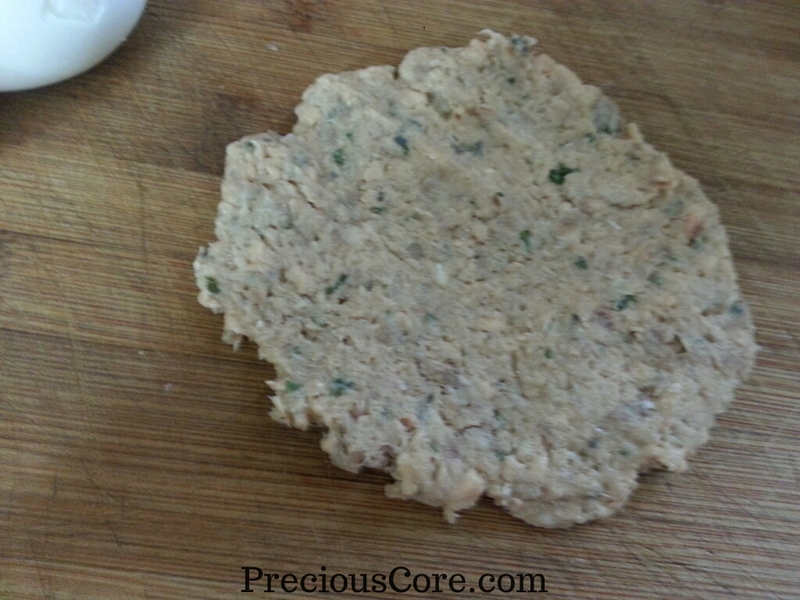 Also add a little chopped herbs. I used parsley. 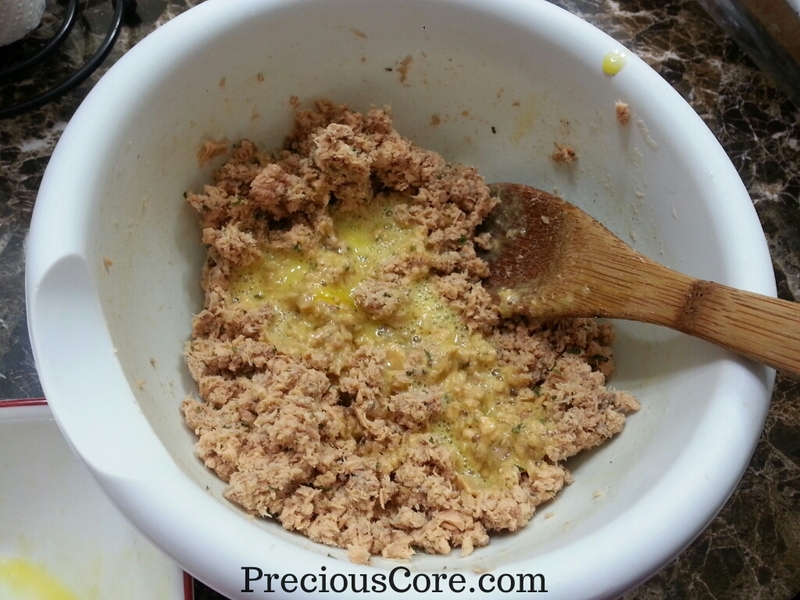 (Please see Patience’s recipe above) Beat two eggs and add in the bowl. Give all of that a good mix. 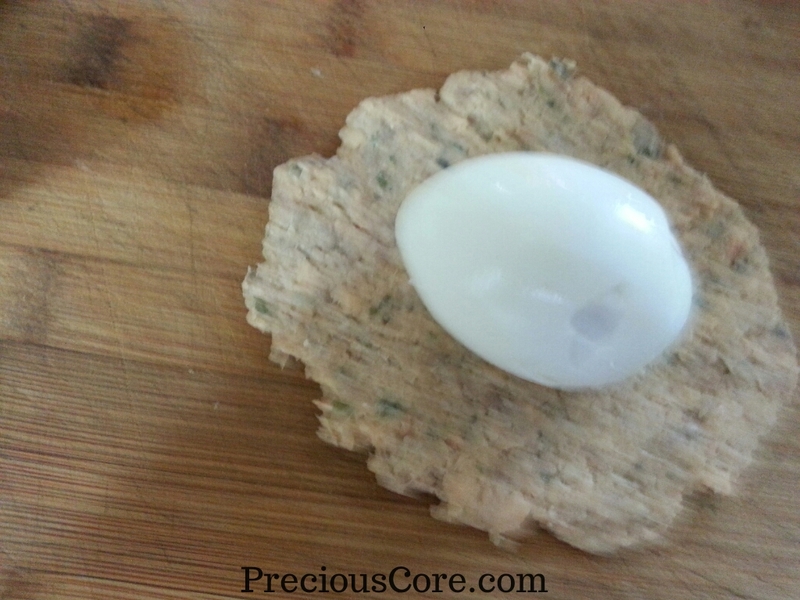 Take some of the mixture and make flat to coat your hard-boiled eggs. Coat it nicely making sure the egg is completely covered. Repeat process with all the eggs you are using. 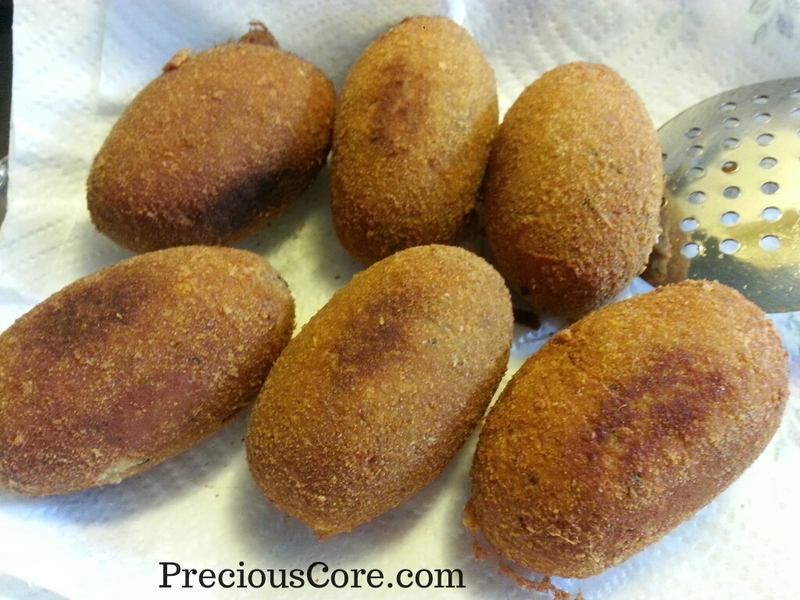 Now roll in bread crumbs. At this stage, you could bake these babies if you want but I went with frying. 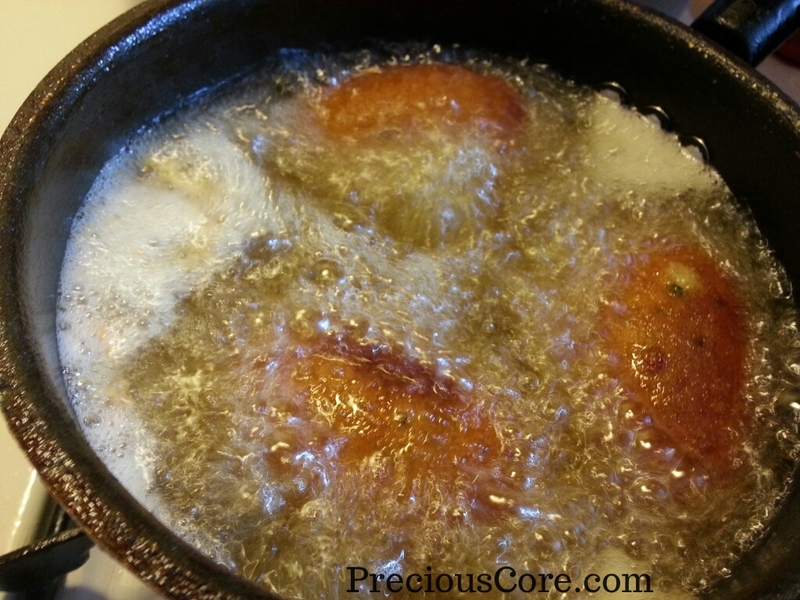 Deep fry in pre-heated vegetable oil. When it is a nice brown colour remove and place on paper towel to soak excess oil. Repeat process with all of your eggs. 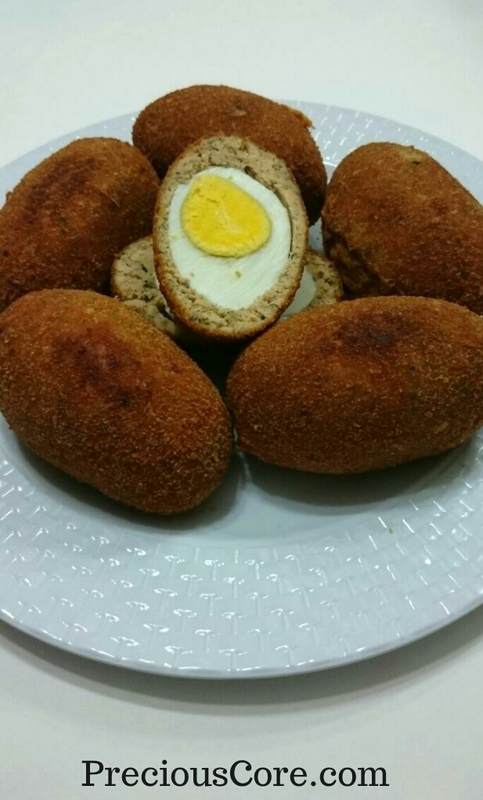 Which scotch eggs do you like best? 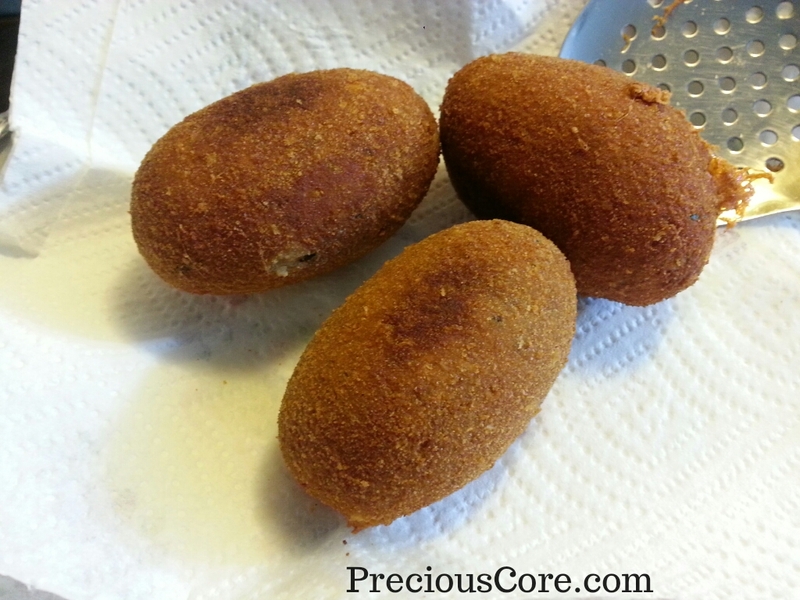 The ones coated with flour, meat, fish or sausage? Please let me know below. I truly appreciate each one of your comments. Thanks for coming back to let me know, Sheila. I really appreciate that. So glad to hear that, Bih. 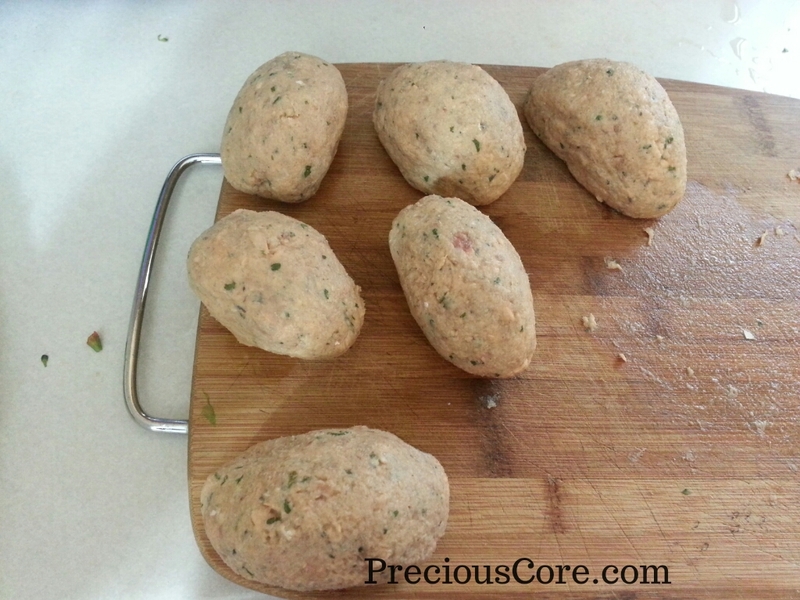 Boil it with very little water and some seasoning (salt, Maggi) and spices (garlic, ginger). Then let it cool complete and you take out all the bones. Then you will have some fish to use.